There may be times when your acupuncturist will determine that you need constant stimulation on certain acupuncture points. If this is the case, your acupuncturist may use a form of TCM called press needles, which are tiny disposable needles that are taped to those acupuncture points in need of stimulation. 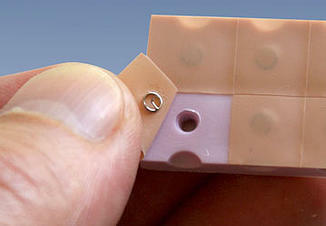 Press needles are so small that after application, you may forget they are there altogether; the sensation they produce is similar to that of having a band-aid on. Since the tape used to attach them is waterproof, press needles may be left on for a few days at a time.